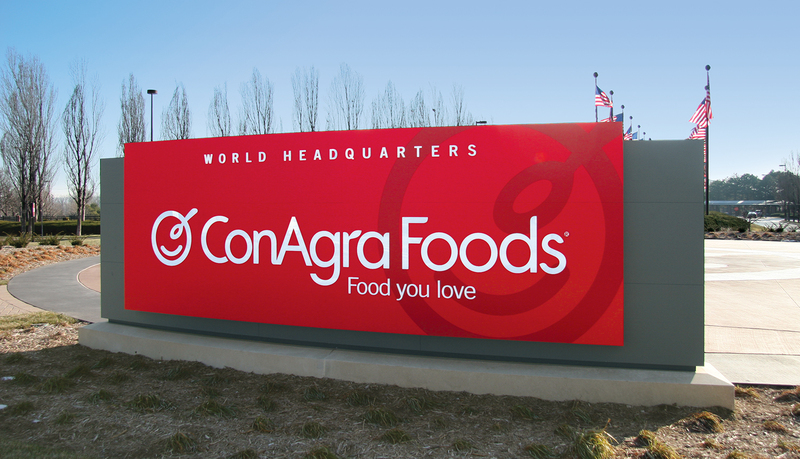 ConAgra Foods®, a global company that manufactures consumer foods that are found in 96% of America’s households, is organized into two business units: Consumer Foods and Commercial Foods. 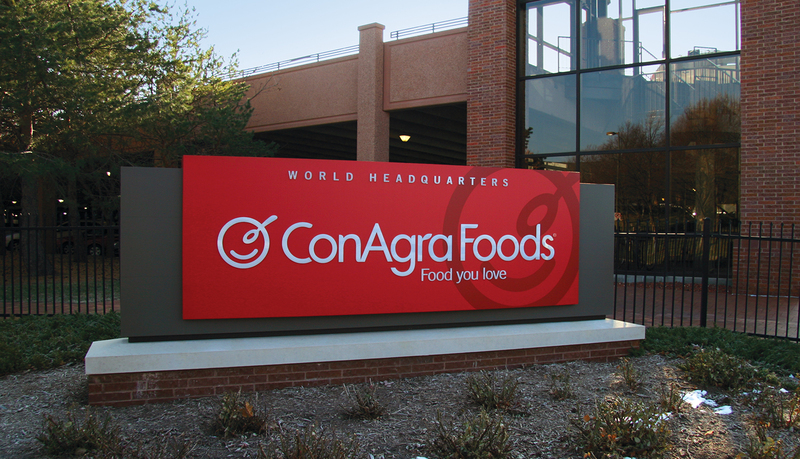 After a year of market research, which included consumers, business patterns, and investors, ConAgra determined the need to improve its corporate identity recognition throughout the business and consumer marketplace. 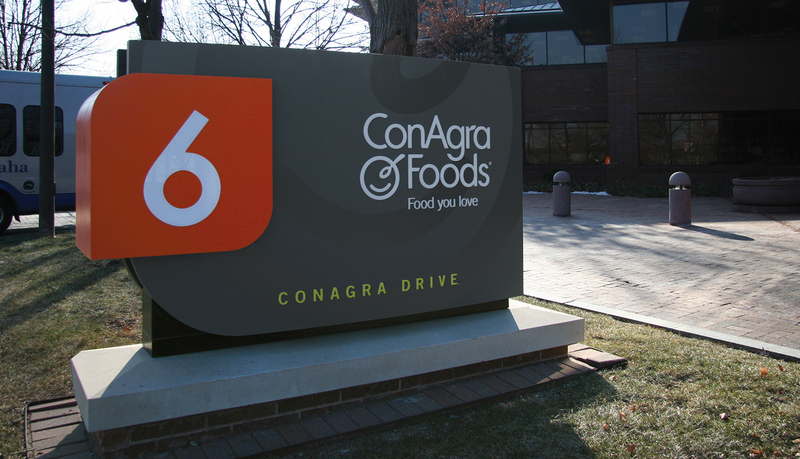 In early 2010, ConAgra Foods embarked upon a complete brand identity overhaul to bring all of its brands under one logo and tagline, “ConAgra Foods — Food You Love.” The new brand includes a new logo bug, which is a bowl and spoon, along with a softer, more consumer-focused font choice and color scheme. 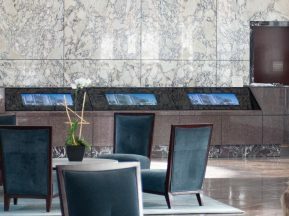 As part of the public marketing and advertising campaign, ConAgra redesigned its world headquarters to reflect the new brand, which includes new interior and exterior signage and a fountain in the shape of a spoon and a smile on a plate. 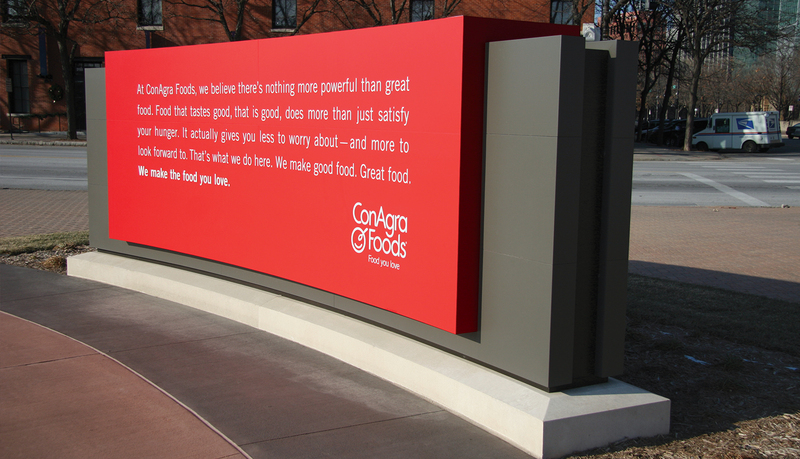 ConAgra understood the importance and effect that a new exterior signage solution would have on both visitors and staff in terms of brightening the corporate campus and reinforcing the new brand identity. 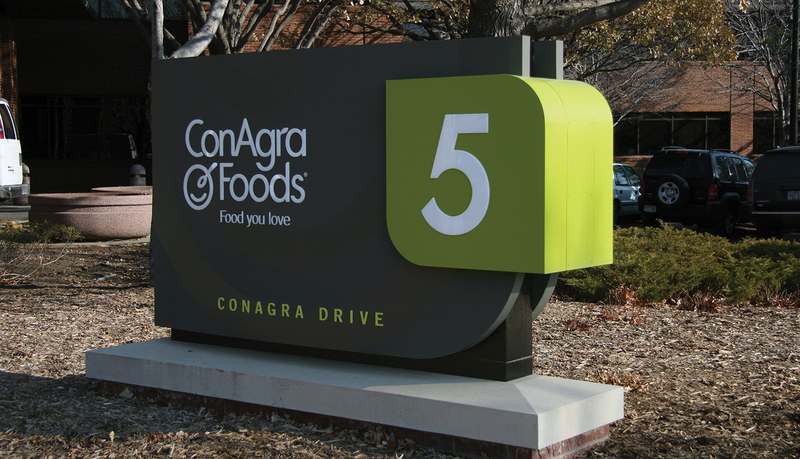 ConAgra consulted with ASI throughout the rebranding process and turned to ASI to engineer, fabricate and implement the complete custom exterior solution. 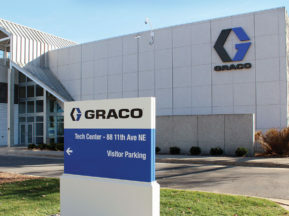 In order to withstand the weather conditions of the Midwest, which range from frigid winters to summer temperatures that reach 100°, ASI engineered a durable, highly-custom aluminum solution that is internally illuminated to ensure people can find their way throughout the corporate campus any time of the day. 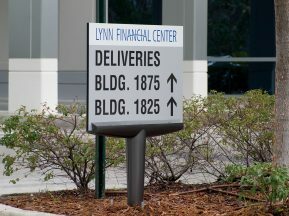 The custom curved-faced design features push thru graphics to ensure easy service and maintenance for as needed. In order to complete the installation, the existing exterior signage bases had to be modified to receive the new monument signs. 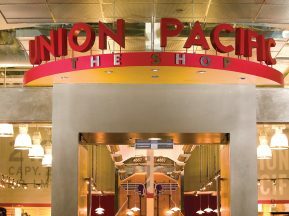 The finished solution includes a curved-face, double-sided 20’ wide x 7’ high main ID sign with internal illumination and several building IDs. 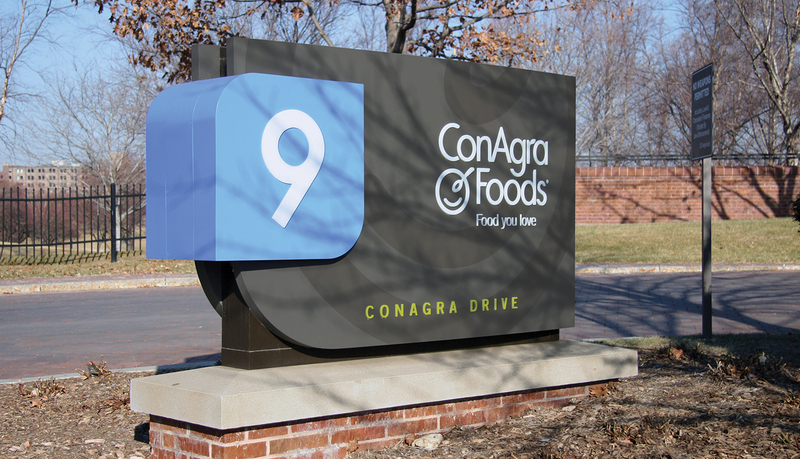 Each sign includes the new logo, color scheme, and the tagline “food you love.” The building IDs each have a different colored projecting numeric accent and effectively guide visitors and staff to the right building on the ConAgra campus.